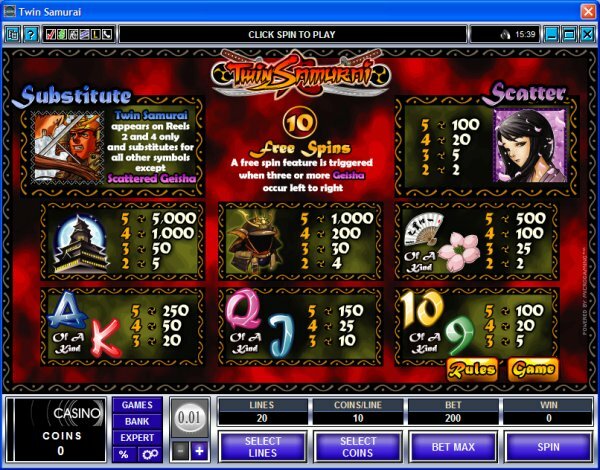 Overview: Twin Samurai, the latest advanced video slot in the Microgaming portfolio marries the ancient mysticism and discipline of the Japanese Samurai warrior culture with katana-keen, cutting edge gaming technology and some of the sharpest online graphics yet developed. 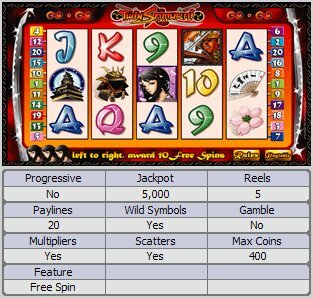 This big, 5 reel, 20 pay-line slot is rich in the features players demand with a novel expanding Wild, and generous Scatter and Free Spin action that can multiply winnings and summon up the divine winds of real rewards! 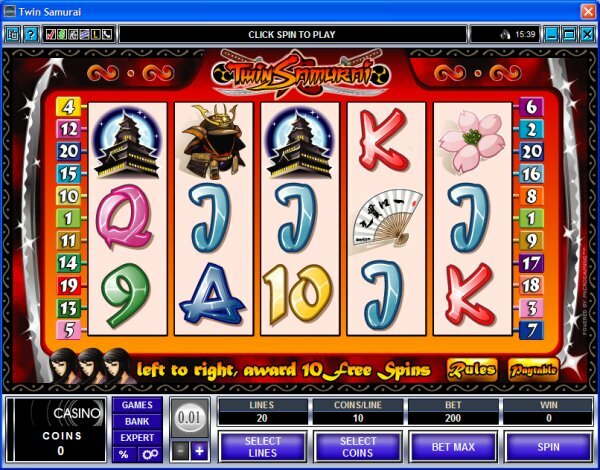 The Twin Samurais are the Wild symbol in this compelling slot game, appearing only on reels 2 and 4 expanding to cover all 3 positions on the reel to give the player good fortune and wealth, whilst the exquisite geishas play the role of Scatters, delivering those generous free spins. Come walk with the warriors of a bygone age through the marvel of Internet gaming technology. 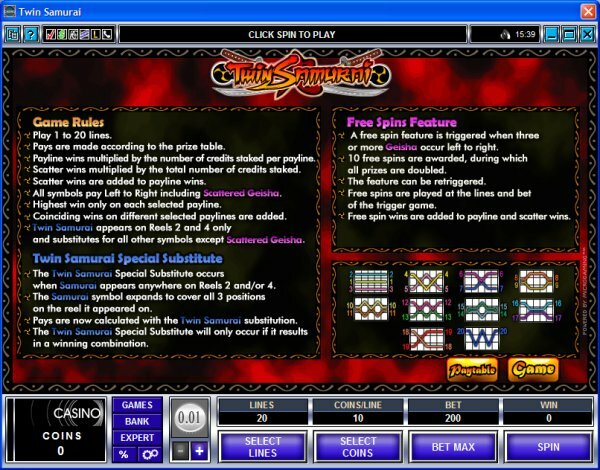 Similar Slots: If you like Twin Samurai, you might like these other 5-reel slot machines: Big Top, Buffet Bonanza, Lion's Pride, Mardi Gras Fever, Scrooge, Supe It Up.